How many mosaic sheets do you get per square metre? The number of sheets per square meter basically varies between 9.35 and 16. It is therefore advisable to double-check this information contained in the pages of this publication and also in our pricelist before pricing, and also for the purposes of calculating quantities of square meters required. Where can I find your disclaimers? As we are not always aware of the application for each product ordered, it is vital to follow any disclaimer which may be found in any relevant box containing our products. Why is there a shade number? 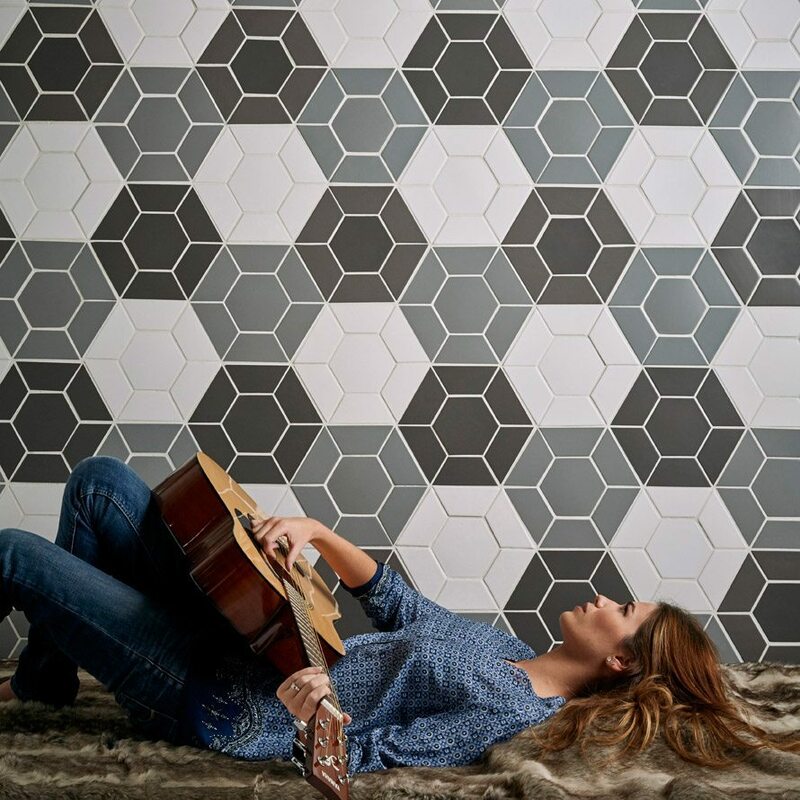 As for tiles, the shade number is critical for a number of reasons. Simply put, two different shades (or batches) should not be used to complete a job. The end product may be significantly impaired. It is advisable to order slightly more than what you feel may be required to complete a job. If you do run short, always state the shade number when reordering, to avoid disappointment. 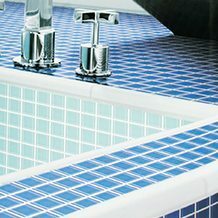 How do I clean mosaic tiles? Cleaning is simple, a mild solution of Sunlight dishwashing liquid with luke warm water. Wash and wipe dry. Can I use resin products on mosaics in direct heat? No resin product should be used where there is direct heat involved. What are the advantages and disadvantages of paper versus mesh mounting? 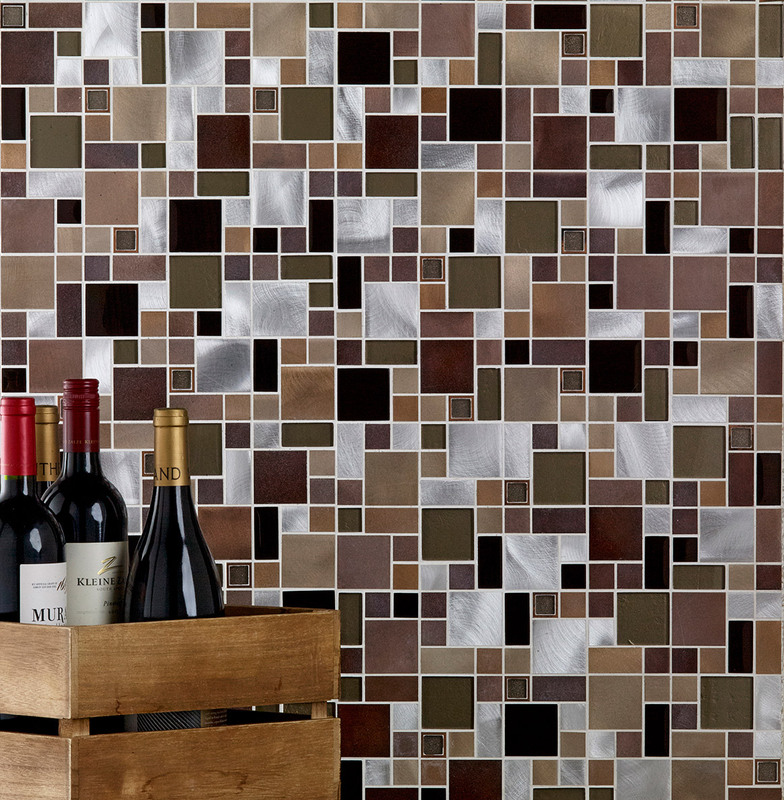 Where glass mosaics are transparent, there is no mesh below to spoil the look. Paper is the preferred method where a larger surface of adhesion is required, as in the case of swimming pools. The application needs more care and takes longer to fix than mesh mounted mosaics as there is one more process involved. [see accompanying picture]. Quicker and easier to install. 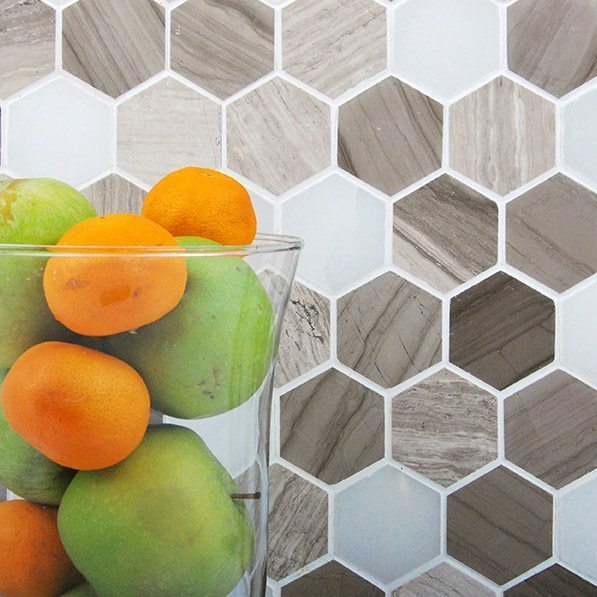 How would I grout a bright finish mosaic sheet? We suggest you use a silicone sealer as grout and not grout itself. 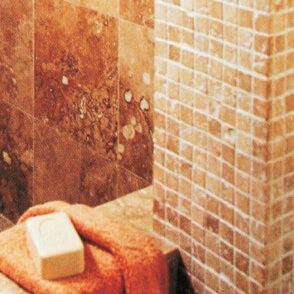 Normal grout may scratch the product. Clean the silicone sealer whilst still wet. How would I grout a brushed finish mosaic sheet? 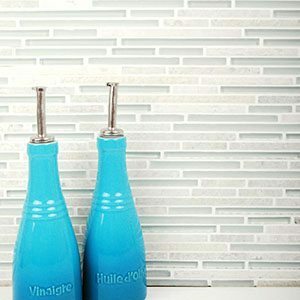 We suggest using ordinary grout mixed with a bonding liquid as opposed to water. The bonding liquid in the grout prevents the grout from cracking, it makes the grout waterproof, and prevents the grout from staining. What direction do I grout in when grouting mosaic sheets? Very important, you grout with the grain of the actual product and you also clean with the grain of the actual product. If not, you will scratch the surface of the product. Always use a rubber squeegee or chamois leather for grouting. How do I cut crystal glass? Crystal Glass is, quite simply, made out of glass. As such, customers need to be advised that they should have the glass cut by a glass cutter. A good mosaic tile nipper may also work.xt. 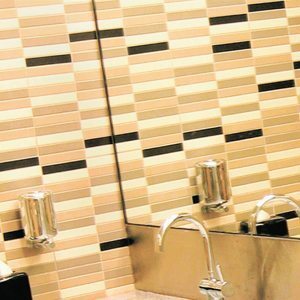 What are the characteristics and properties of crystal glass mosaics? Crystal glass may be used on splash-backs behind stoves/ hot areas. 8mm crystal glass is far more vibrant than 4mm crystal glass as it refracts more light, giving it greater appeal. All of our crystal glass mosaics may be used successfully in swimming pools, however they should not be used on wet floor areas unless first sandblasted. 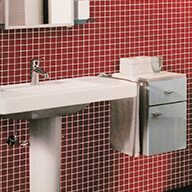 The correct type of adhesive and grout should be used in all of these applications. Please consult with your preferred supplier beforehand. Always use a rubber squeegee or chamois leather for grouting. 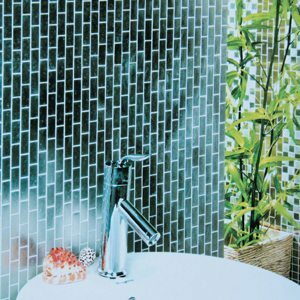 Can your stainless steel mosaics get wet? 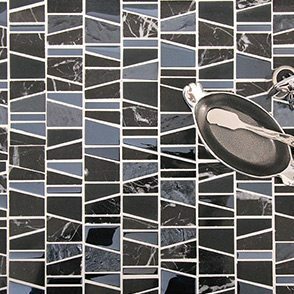 Our stainless steel mosaics are grade 316 Marine quality, however we would not recommend using them in permanently wet areas. Periodic cleaning will lessen the risk of contamination. 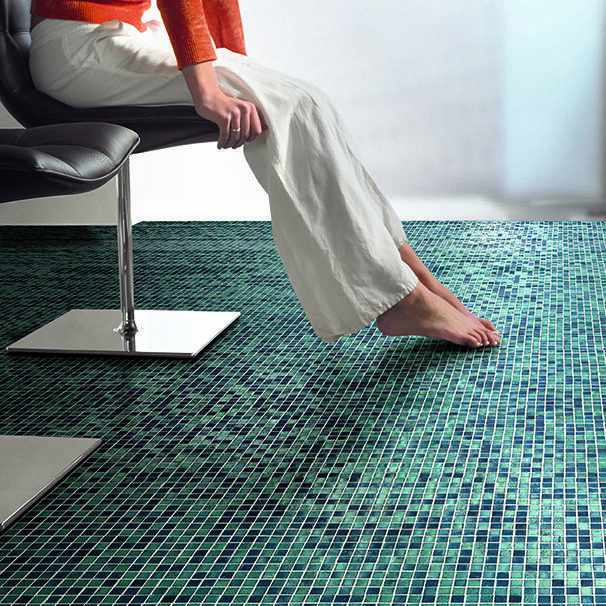 Must I seal natural stone mosaics? We recommend that all of these products be sealed. Please contact your preferred supplier for the best sealer for each type of stone.